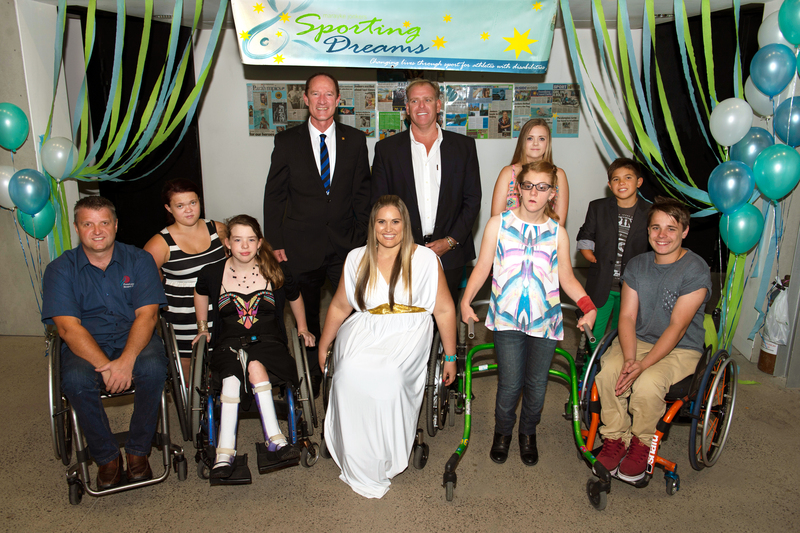 Paralympic swimmer and founder of Sporting Dreams Marayke Jonkers awarded a record number of 30 Sporting Dreams grants to athletes with disabilities on November 1st at the University of the Sunshine Coast. The 30 athletes receiving grants this year compete in sports as varied as swimming, athletics, wheelchair basketball, shooting, equestrian and lawn bowls and amongst them are two Sunshine Coast athletes Darron Shields (paratriathlon) and Amy Deguara ( Para canoe). Jonkers says both Darron and Amy are very talented athletes, who have demonstrated a commitment to training and have achieved remarkable success in their sporting careers so far. “This grant will allow them to focus on training and competing as they work towards their goal of competing at the Rio 2016 Paralympic Games,” she said. Darron, 45, made a triumphant return to triathlon in 2010, eight years after he was paralysed in a bike accident while training for a triathlon. This year he completed his first half Ironman, becoming the first paratriathlete to finish the Mooloolaba 70.3 event. Last year, Darron achieved his goal of completing an Olympic distance triathlon within 10 years of his accident. Darron was inspired to take up triathlon again after watching Marayke compete at the Recliffe State triathlon Championships and they became training partners. He has competed at two Paratriathlon World Championships. Amy, 25, is starting para canoe (kayaking) after playing wheelchair basketball since the age of eight. She received a sporting Dreams grant for wheelchair basketball in 2010. Amy first tried para canoe two years ago, but has had to overcome a number of injuries before she could begin training in her new sport. 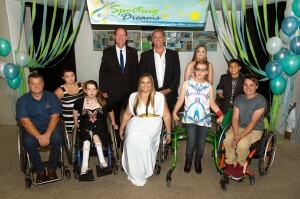 The ceremony was be attended by dignitaries including the Honorable Steve Dixon,MP, Minister for National Parks, recreation, sports and racing; Councillor Jason O’Pray,for and representatives from sporting bodies including sporting wheelies and disabled association and swimming Australia. Jonkers, who represented Australia at 3 Paralympic Games, founded Sporting Dreams in 2008, after winning $10,00 in the Cosmopolitan Magazine Fun, Fearless female awards (2007). Sporting Dreams aims to help athletes with disabilities to achieve fun, fitness and personal development through sport and to support future Paralympic champions. Jonkers has always wanted to give something back to sport, and to ensure up and coming athletes have the same opportunities she has had.